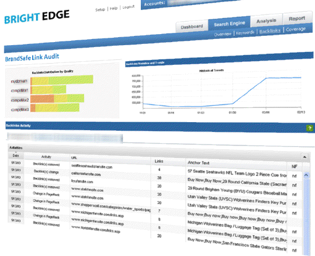 In the wake of JC Penney’s link farming issue on Google, SEO firm BrightEdge released to a free auditing tool that tells brands about the quality of the backlinks to their sites and whether they may be at risk from paid links and link farms. It’s been over two weeks since the tool was released and BrighEdge has analyzed audits for more than 1,000 brands. BrightEdge reports that the “improper black hat SEO tactics” are much more widespread than you would think. While BrightEdge is keeping the names of brands surveyed anonymous, the SEO firm said that a quarter of all brands surveyed probably have these back link issues. Most companies have no clue this is being done because outside contractors are hired to do SEO work. This report seems to remain consistent with JC Penney’s side of the link farming story. The fact is that many brands may not know that link farming was taking place with their site. The retailer claimed it had been totally unaware that it was benefiting from link farming. And unfortunately, the company paid the price—once Google was alerted, the search engine caused the brand to plummet in search results and lose a huge percentage of its organic traffic. management. The vertical industries at highest risk, says BrightEdge, were online services, including real estate sites and photo sharing services. Nearly one-third of these domains had backlinks that put them at risk of corrective action by search engines.